The name Archinto is well known in the world of fine instruments, thanks to the famous Stradivari quartet owned by Count Giuseppe Archinto (1783–1861). For many years the Archinto family was among the most wealthy and distinguished in Milan, having achieved social recognition and economic prosperity during the Spanish dominion of Italy between the 14th and 18th centuries. Many family members held important offices in the army, church, law and public administration. 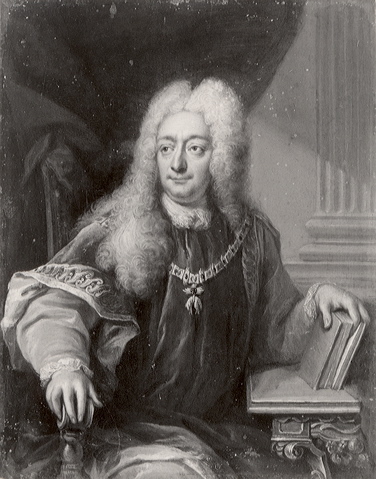 Giuseppe’s great-grandfather Carlo III (c. 1670–1732), for instance, had studied philosophy and mathematics in Munich and was a patron of the arts. He was appointed as chamberlain by the Emperor Leopold I and was awarded the illustrious Ordre de la Toison d’Or (Order of the Golden Fleece) by King Philip V of Spain in 1700. When Italy was subsequently conquered by the Austrian Empire, the Archinto family successfully adapted to the new circumstances and Giuseppe’s grandfather Filippo (1697–1751) became the secretary and personal advisor of Queen Maria Theresa. Giuseppe, for his part, studied in Vienna and was a loyal supporter of the Austrian Emperor Ferdinand I. When Giuseppe, as the first-born son, inherited his father Luigi’s estate in 1821, he became one of the richest men in Milan. He was a sophisticated collector who surrounded himself with rare works of art, jewels, engravings and musical instruments. No longer satisfied with the accommodation provided by the monumental palace in Via Olmetto, where his family had resided for centuries, Giuseppe decided in 1833 to build a more appropriate mansion for himself and his wife, Maria Cristina. The result after four years of work was a gigantic building in Via della Passione, with hundreds of rooms, 250 windows, three courtyards, an English park with a lake and a river, and a private chapel. It was luxuriously decorated by French artists, and Archinto’s initials and coat of arms are still visible throughout the palace, from door handles to mantelpieces. Giuseppe clearly desired to impress his guests and Stradivari’s quartet must have been played in this splendid environment. Of the four Stradivari instruments owned by Giuseppe Archinto, three have survived: a cello from 1689, a viola from 1696 and a violin from 1721. All three still carry his family name. 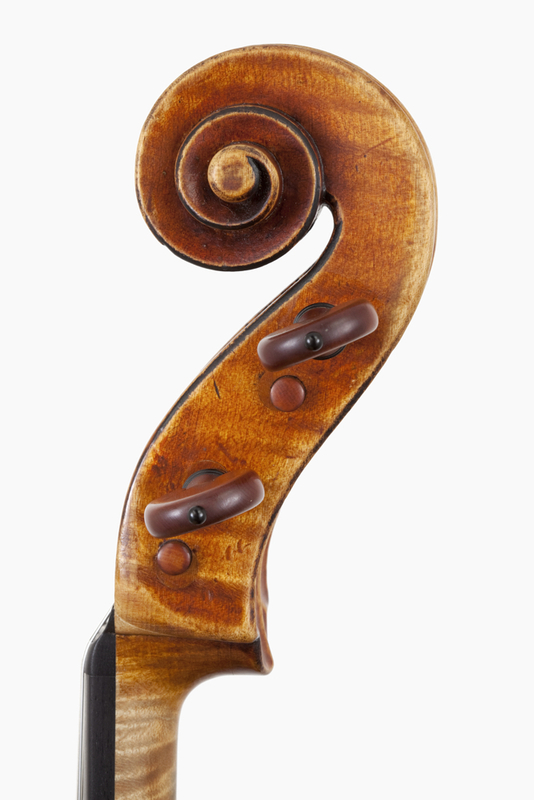 The fourth instrument, a violin from 1696, has since disappeared. 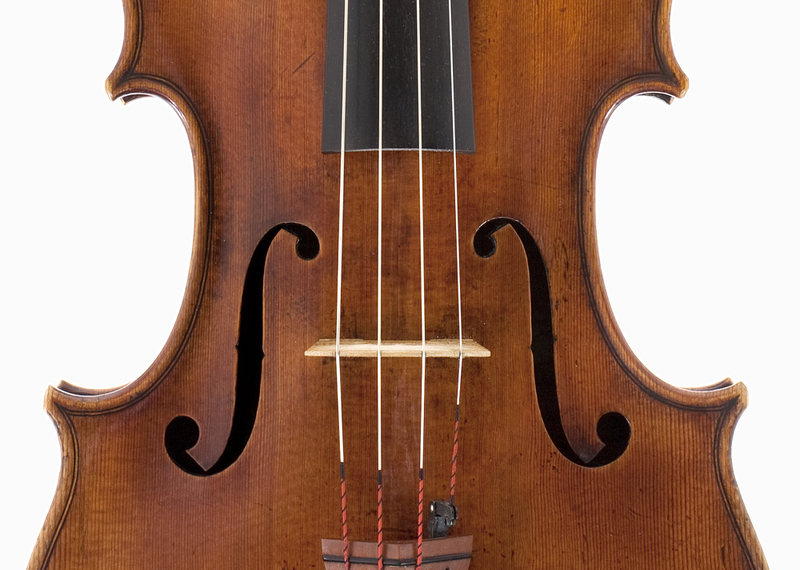 Both Simone Ferdinando Sacconi  and later Stewart Pollens  have provided a detailed analysis of the equipment used for the construction of the viola. 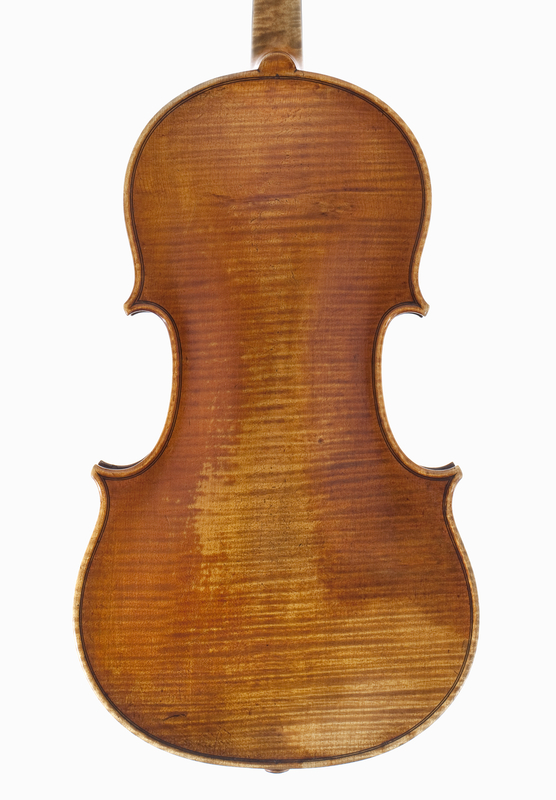 Unusually, Stradivari did not use walnut wood for the ‘CV’ viola mould but rather willow. 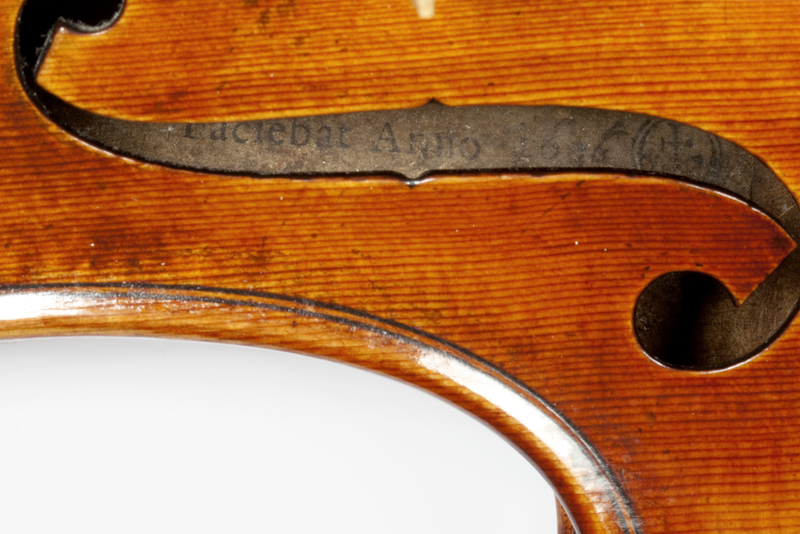 Between the upper bouts is an inscription that appears to be in Stradivari’s handwriting, confirming the Medicean commission of the work – through Grand Prince Ferdinando de’ Medici – and its production date: ‘1690 / Forma nova per il [illegible] Fatta / Ha Posta per Il ser.mo Gran Principo / Di Fiorenza’ (1690, New form for the [contralto] made especially for the Serene Grand Prince of Florence). There is a second inscription between the lower bouts but, while Sacconi  was convinced that it had been written by Cozio, Pollens  noticed that it is similar to the one on the mould ‘TV’ for the tenor viola ‘Medici, Tuscan’ from 1690, which did not appear in the picture reproduced in the Hill’s book from 1902. Therefore it must have been added in the 20th century. The top of the instrument is of very fine-grained spruce resembling that of Stradivari’s ‘Arditi’ violin from 1689. The maple of the head is lighter-figured than the back. 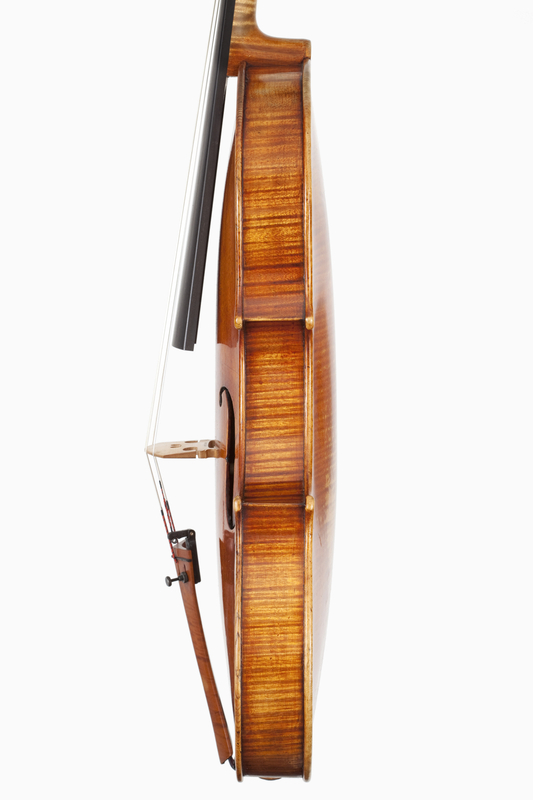 In common with almost all Stradivari’s violas, the scroll follows the shape of those made for the cellos, with stepped cheeks, and its large size makes it appear slightly heavy in contrast with the delicacy of the rest of the instrument. 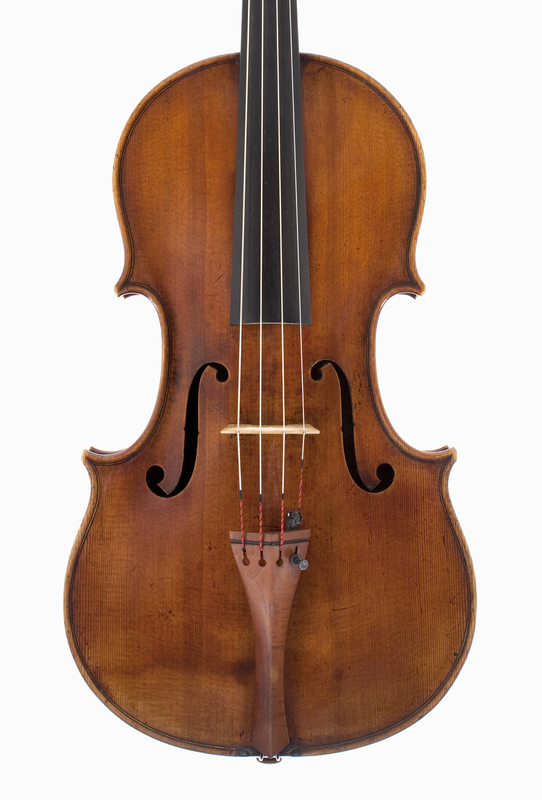 Nevertheless the violin maker Charles-Eugène Gand described it as a ‘très belle tête’  and it is particularly harmonious in shape, as well as being one of the earliest instruments to feature the blackened chamfers that were to become typical of Stradivari’s work. According to Beare, the first known owner of the ‘Archinto’ was Count Carlo Gambara of Brescia, who sold the instrument around 1800 to Giuseppe Archinto. Through this purchase Archinto was able to complete his quartet of Stradivari instruments. The Hills initially summarized the past of the instrument briefly: ‘Count Archinto of Milan, who died about 1860, was the possessor of a quartet of Stradivari instruments, afterwards purchased by Vuillaume for, we believe, 15,000 francs. The tenor of this quartet is the fine example now owned by Mr. Rutson; the violoncello is that of the late M. Delsart.’  Years later, they added a new detail to its story: ‘Count Archinto had a quartet of Stradivari instruments, which, on his death passed into the hands of Count Luccini Passalacqua of Milan, who, in 1860–65 sold them to J.B. Vuillaume of Paris.’  Whether this was really the case is unclear. Certainly it is possible that Passalacqua and Archinto were on friendly terms. 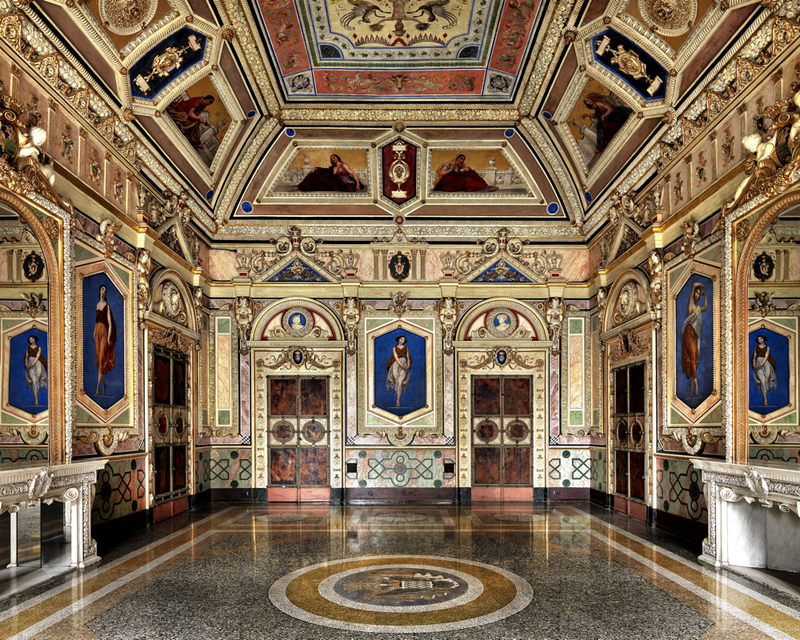 Both collectors lived in Milan, in magnificent palaces just a few hundred meters away from one another. Nonetheless it is hard to believe that Passalacqua had the time to take care of Archinto’s collection of instruments because both men died in 1861. Gand, who saw the viola around 1870, recorded it as in the possession of the renowned Belgian collector Charles Wilmotte of Antwerp. He added that the instrument was then purchased by the Parisian amateur cellist and collector Abel Bonjour for 7,000 FF in 1873 and – in the same year – by Muntz for 9,400 FF. In 1886 the English amateur musician and collector John Rutson (1829–1906), who eventually became director of the Royal Academy of Music (RAM) in London, bought the viola through the Hills. Four years later he donated it and several other stringed instruments, including another two Stradivari instruments, to the RAM, where it now forms part of the Rutson Collection. Through the years the RAM has lent the ‘Archinto’ to some of its most talented musicians, including Watson Forbes of the Aeolian Quartet, Roger Bigley of the Lindsay Quartet, Paul Silverthorne, Bruno Giuranna and Yuri Bashmet, to name a few. In 2003 Maxim Vengerov recorded William Walton’s Viola Concerto on it and in 2007 it was played by the British violist Philip Dukes at the Royal Albert Hall in London. Today Archinto’s palace in Milan is home to several schools. 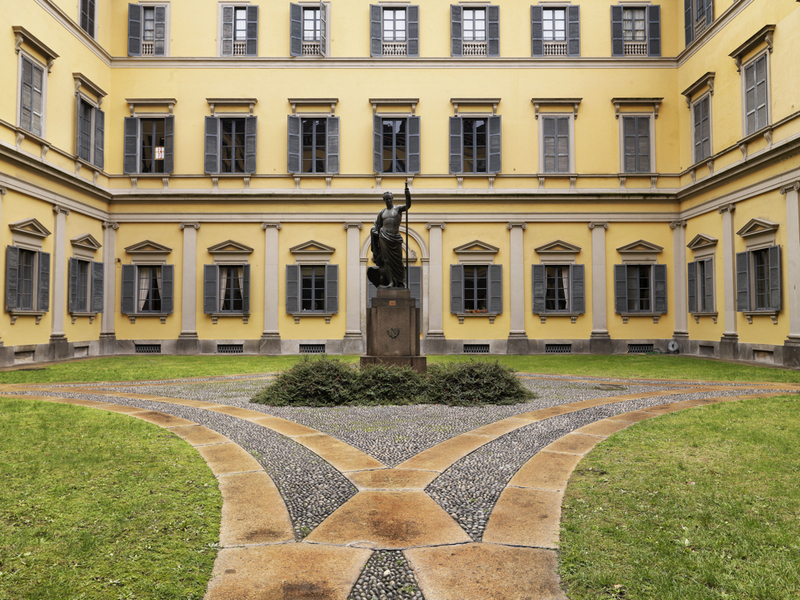 At the center of its main courtyard stands a bronze sculpture of Napoleon Bonaparte, who turned the building into a college for the daughters of his generals. As a convinced monarchist and pro-Austrian, Count Giuseppe would most certainly have turned up his nose. Thanks to Cristina Fumarco and Roberto Regazzi for assistance with source materials. Hill, William Henry; Hill, Arthur Frederick; Hill, Alfred Ebsworth, Antonio Stradivari. His Life and Work (1644–1737), W.E. Hill & Sons, London, 1902, reprint 1963, Dover, New York, p. 101. Sacconi, Simone F., I ‘Segreti’ di Stradivari, Libreria del Convegno, Cremona, 1972, English edition, reprint 2000, p. 203. Pollens, Stewart, The Violin Forms of Antonio Stradivari, Peter Biddulph, London 1992, pp. 11, 13, 28, 29. Sacconi, S. F., Op. cit., p. 205. Pollens, S., Op. cit., p. 29. The f-hole placement template of the ‘CV’ viola is registered as ‘MS no. 210’ and exhibited at the Museo del Violino in Cremona, along with the neck and scroll pattern (MS no. 213) and the ‘CV’ mould (MS no. 205). Mosconi, Andrea; Torresani, Carlo, Il Museo Stradivariano di Cremona, Cremonabooks, Cremona, 2001, p. 56. Frazier, Brandon, Memoirs of a Violin Collector, Gateway Press, Baltimore, 2007. Beare, Charles, Capolavori di Antonio Stradivari, Arnoldo Mondadori Editore, Milan, 1987, p. 58. Dilworth, John, ‘The pinnacle of achievement’, The Strad, London, June 1996, p. 580. Beare, C., op. cit., p. 58. Gand, Charles-Eugène, Stradivarius – Guarnerius del Gesù: Catalogue descriptif des instruments de Stradivarius et Guarnerius del Gesù, Les Amies de la Musique, Spa, reprint 1994, p. 42. Hill, W. H.; Hill, A. F.; Hill, A. E., Op. cit., p. 101.
 Henley, William, Universal Dictionary of Violin and Bow Makers, p. 89 states: ‘In 1881 the viola changed hands for £800; in 1891 for £900.’ These are the prices mentioned by the Hills for the ‘Spanish Court’ viola. Hill, Alfred, Letter to Mr Wurlitzer, London, October 30, 1924. Codazzi, Roberto; Manfredini, Cinzia, I Capolavori Cremonesi della Royal Academy of Music, Consorzio Liutai Antonio Stradivari, Cremona, 2003, p. 144. Biddulph, Peter; Chaudière, Frédéric, catalogue ‘Antonio Stradivari’, Musée Fabre / Actes Sud, Montpellier, 15–31 July 2008, p. 44. Beare, Charles; Beare, Peter, ‘Stradivarius’ Ashmolean exhibition catalog, 2013, p. 82. Gand, C.-E., Op. cit., p. 42. Codazzi, R.; Manfredini, C., Op. cit., p. 144. Biddulph, P.; Chaudière, F., Op. cit., p. 44. Beare, C.; Beare, P., Op. cit., p. 82.